We were founded in 1975 and now have well over 100 members. Our weekly rehearsals are friendly and informal. We are a registered charity (Charity No. 510264) whose aim, according to our constitution, is to 'prepare music for performance and . . . to educate . . . through the presentation of a series of concerts throughout the season'. Put less formally: we all have a common love of choral singing and our objective is simple - to sing and learn together and to make good music! We are a community choir and strive for high standards of performance. No audition is required to become a member, but the ability to sight-read is useful. Under the enthusiastic direction of John Dunford, we have covered a wide range of music encompassing most familiar choral works - and some not so often heard. From Monteverdi's Vespers of 1610 to Karl Jenkins' The Armed Man, via works by, among many others, Bach, Mozart, Haydn, Brahms, Fauré, Rossini, Schubert, Finzi, Puccini, Orff, John Rutter, and, of course, Handel. Click here to see a complete list of all the concerts we have performed since our foundation in 1975. We aim to put on four major concerts a year, normally at our home venue of St James's Church, Wetherby (by kind permission of the vicar and church wardens). We occasionally perform at other venues, including Leeds Town Hall and Ripon Cathedral, and from time to time we join with other choirs to tackle major works such as Verdi's Requiem and Elgar's Dream of Gerontius. You can listen to extracts from some of our concerts by going to our "Sound Bites" page. We are often asked to provide a choir for special occasions, such as weddings (both in churches and at other venues) and are delighted to do so. 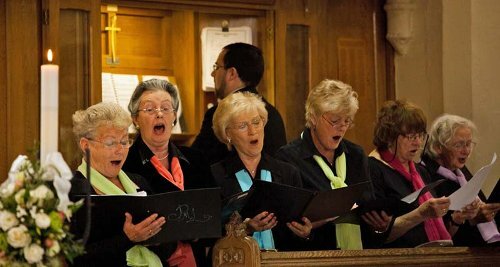 We are also happy to provide a choir for other occasions, such as funeral or memorial services. Please email our Special Occasions Secretary to discuss how we might be able to help. For details of our current committee, please see the Contact us. John began his musical career as a treble in Birmingham Parish Church Choir. He continued his musical training at Trinity College of Music studying organ, singing, piano, harpsichord and conducting, where he won the Choral Conducting prize and was appointed Senior Student of the College in his final year. During his career as a music teacher, he also maintained an active professional musical career, and continues to do so. He has played the organ for concerts and services in many English cathedrals as well as several cathedrals on the Continent, and for a short time co-directed the music at Sheffield Cathedral. He was for six years Choirmaster at St Wilfrid's Church, Harrogate, and for a short while was Director of Music at Christ Church, High Harrogate. One of John's trademarks is his vocal dexterity. 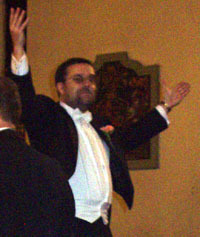 While professionally he sings most frequently as a tenor soloist, he has also had engagements as a bass and a countertenor. 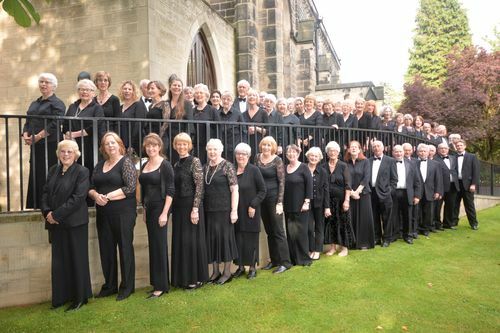 He sings regularly with Sheffield Bach Society and Sheffield Oratorio Chorus as well as performances in Wakefield Cathedral with the Yorkshire Chamber Choir and other choral societies in the Yorkshire area. Among many other roles, he has sung Evangelist in Bach's St John Passion, taken the title role in Britten's St Nicolas, and sung the extraordinary swan solo in Carmina Burana in performances in Sheffield and Harrogate as well as performing in most of the classical masses and requiems. As a bass he has sung Bach's Magnificat and St Matthew Passion. As a counter-tenor he has sung Haydn's Nelson Mass, Bach's St John Passion and Magnificat, and Vivaldi's Gloria for alto solo and choir. He deputises as a lay clerk at Ripon Cathedral, singing as a tenor on a Ripon Cathedral CD and on broadcasts of Choral Evensong with the Cathedral Choir as an alto. He has also broadcast on radio and television as an organist and conductor. John's career has moved through ambitions as an organist, to establishing a solo vocal career (much to his surprise), but currently, away from the classroom, he devotes most of his energies to choral conducting. While a student at Trinity College of Music he formed and directed a chamber choir which won considerable acclaim. Among the choir's invitations was one to sing the semichorus in Elgar's The Dream of Gerontius in Fairfield Hall, Croydon. A professional group of ten singers which he created has made a recording in collaboration with the choir of Cork Cathedral, although, at the time, John was at an international music festival in Rome working with Arthur Oldham and Claudio Abbado. John has recently retired as Director of Music at Gateways School, Harewood, and was previously Director of Music at Ashville College, Harrogate. 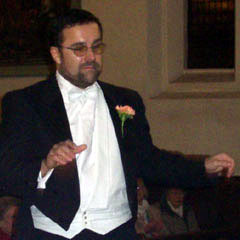 He conducts both Wetherby Choral Society and Ripon Choral Society. He has held the position of Director of the New Westminster Chorus, Marlow Choral Society and St Oswald Singers in Sowerby. 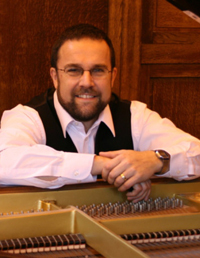 He has also been deputy and guest conductor of Sheffield Bach Society and Harrogate Philharmonic Orchestra. Marjorie's first love has always been accompanying - she describes herself as "addicted to dots". She studied for four years at the Royal Academy of Music, moving then into a Head of Music post at Pontefract and District Girls High School. After having her family, she pursued freelance work teaching piano and accompanying. She was a founder repetiteur with Opera North and has played for Leeds Festival Chorus for 25 years, working with many notable conductors and soloists. 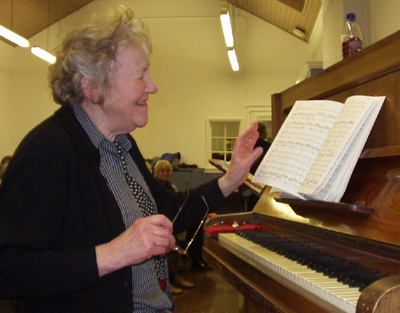 She has accompanied Wetherby Choral Society for over 20 years. The Society wishes to express its sincere gratitude to our sponsors for their very kind and generous support. The economics of choral singing are such that we lose, on average, around £2,000 for every concert we put on - it would actually pay us to put on fewer concerts! But that is not what we are about, of course. We should very much welcome further sponsors, both from individuals and from businesses and family or charitable trusts. If you would like to discuss this, please contact our Chairman.